Our Soft sawdust is an excellent quality product that is ideal for use as animal bedding in dog kennels, catteries, cubicles, stables, or poultry areas. It can also be used to deal with general spillages. It is 100% softwood and kiln dried which makes it highly absorbent and therefore available for multiple purposes. Its absorbency also ensures that your animals environment remains dry and clean in between clean outs. Overall, with P.H. Winterton and Son soft dust, your animals are guaranteed to be comfortable and happy. 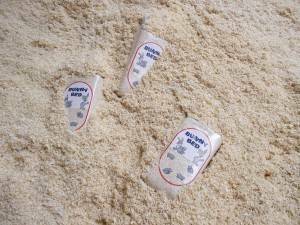 As a growing and improving sawdust brand, Agri-Dust is now the most popular product for dairy farmers throughout the UK. The grain size is screened to 3mm or less and is of the highest consistency quality-wise, which helps to avoid abrasion of the udders. It also helps to prevent the development of mastitis infection. Our processing factory provides pre-packed 20-21kg bales for easy storage, and the product is also available in a finer dust size called Agri-powder. In addition to providing high quality sawdust for agricultural uses, we also provide sawdust which is perfect for use within the home as pet bedding. Whether you have guinea pigs, gerbils, rabbits or hamsters, sawdust from P.H. Winterton and Son guarantees to provide a soft and warm bedding that can be easily cleaned out to ensure that your furry friends are living in a hygienic, safe and comfortable environment. If you would like to find out more about any of the sawdust that we offer here at P.H. Winterton and Son, please feel free to contact us directly today.